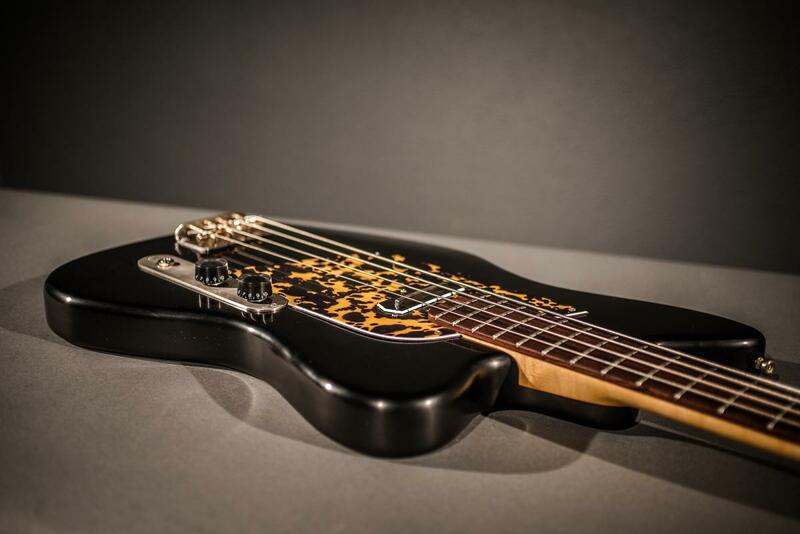 All basses have a 34,02-inch scale, 21 nickel Silver Wagner frets, double trussrod and a bolt-on neck. By default, the finish is nitro cellulose. Woodgrain filler are purely on a mineral basis. The used timber dries several years or decades. CTS pots, CRL or Switchcraft switches/Sockets. Paper and oil capacitors are used for the electrical system. Strap pins are Security lock compatible. Each Sportbass is a unique masterpiece. 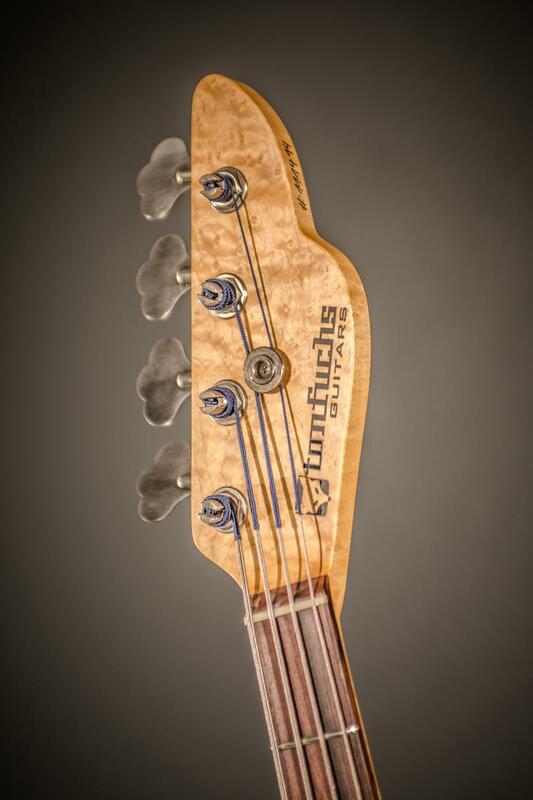 Every single Tonfuchs Bass is a handmade product. This might take a bit longer and can sometimes be exhausting. So, if we go through the trouble and put so much effort and passion into each instrument, we do not want to spoil the result with inferior ingredients. 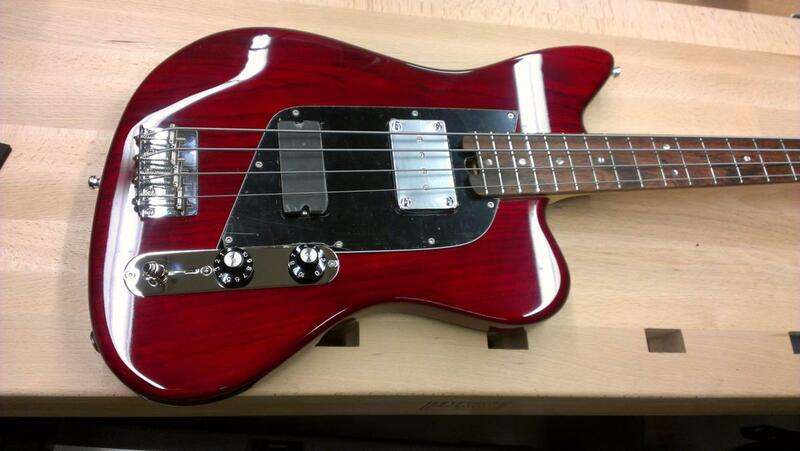 That means no compromises in the woods, hardware, tuners, pickups, pots and capacitors that are used. Wood: Our lumber storage is very extensive and is continuously being expanded. The amount of wood purchased each year is greater than the amount that leaves the workshop in the form of a finished bass. We only use woods that have been aged and air-dried for several years. Among many other criteria, this is the most important point. Under these circumstances, it may be that some wood types of a certain vintage are not infinitely available. Before we build an instrument with immature wood, we prefer not to build one at all. 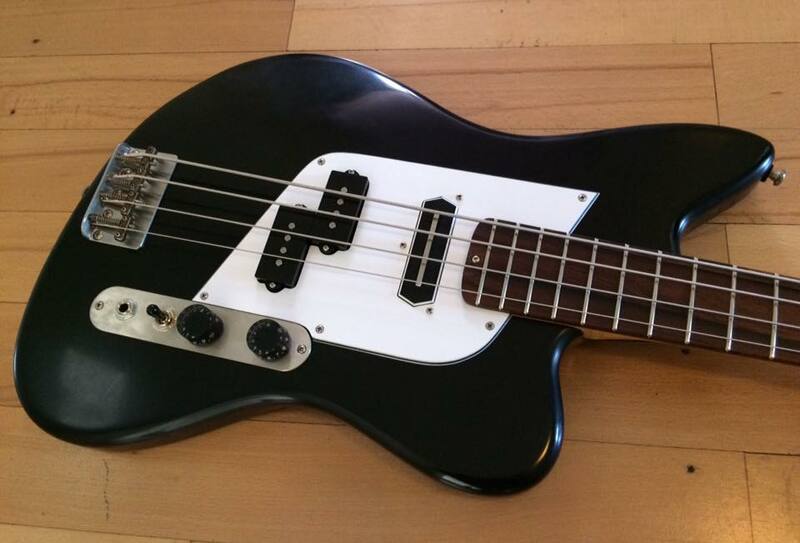 Body: Because we optimize every bass body to a fixed self-resonance. 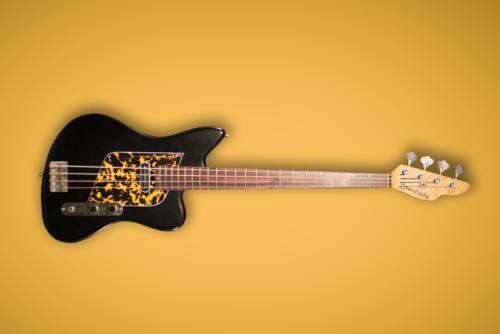 Our bodies vary from bass to bass in thickness as well as the back and arm-rest contours. The dimensions may deviate by 1-2 mm. This requires an analog way of working and is actually not attainable through industrial production methods. The widest possible range in overtones justifies this procedure. Necks: The neck also has a self-resonance around the note E. This is possible through mass reduction and by sculpting the foot and neck collar to attain the most resonant heal possible. The collar also decouples the head plate from the vibrations of the neck. Our necks are preferably thick and strong. Shaped by a slight V in the lower regions and a C in the higher parts of the neck. 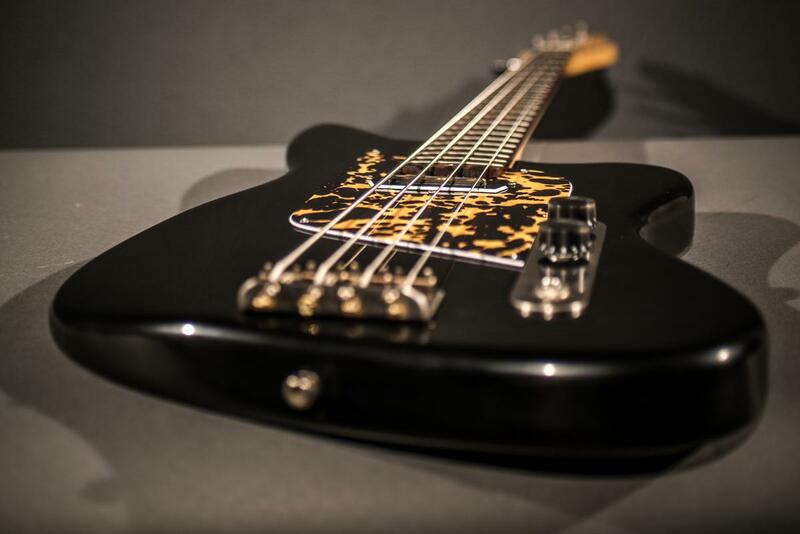 Because everything is analogue and handmade, different neck profiles can be requested and are not a problem. The necks feature a double truss-rod which are adjustable in both directions. Bolt-on necks by default have a mat lacquered finish. For this a special cellulose mixture is used. Oil finished necks can be requested and are used to protect the surfaces of wood like for example Rosewood. For this we use cold pressed linseed oil. Finish: The finish of a Tonfuchs bass is not only nice to look at, but lets the instrument swing freely without dampening the sound. The pore filler used for coarsely porous woods such as Mahogany is mineral based. The primer consists of a cellulose coating with a high concentration of solids. As final coat we also use a cellulose varnish. No acrylic, polyurethane, polyester or similar variations are ever used. With the cellulose varnish, after evaporation of the nitro thinner what remains on the instrument is what it already exists of anyway. Cellulose. 1. High Gloss Finish: All surfaces are flawless and meticulously polished to a high-gloss. 2. Patina Finish: All of the hardware is slightly aged, the varnish has (on request) weather cracks and is not as glossy. 3. Splatter Finish: here all parts have been aged greatly and the instrument has greater signs of use. Hardware: For the right transference to the body, a vintage steel bridge is used and comes with single saddles. We rely on Hipshot ultralight tuners. For fret wire we trust in the material of the company Wagner, who consistently produce in Germany. The nickel silver is especially high-quality alloy. Different profiles are available and can be individually fitted to the players wishes and preferences.